Inconsistency in the second stint of the league has been a trend for Est Bengal since the past couple of years, which has seen them end their title hopes after heedless defeats against various league sides in the second half of the season over the years. The Kolkata-based club have made a fashion out of miserable performances in the second half of the league in the last couple of seasons and followed a similar path on Tuesday when they were handed their second defeat of the year by Churchill Brothers, immediately dethroning them at the top place. East Bengal produced a pitiful performance against the Goans on Tuesday, which ended with a 1-2 defeat. Despite being demoted to the reputation of ‘minnows’ in recent times, the Goa-based club had defeated one of the title favorites and then undefeated Mohun Bagan in their previous game and judging by the performance at Barasat Stadium on Tuesday afternoon, the league leaders were already a step behind, underrating Derrick Pereira’s men nevertheless. East Bengal were dethroned from the top of the league table by Aizawl FC who now occupy the top spot with 29 points compared to East Bengal’s 27 points. Arch rivals Mohun Bagan are third in the points table with 21 points but have two games in hand. “The first 45 minutes of the game, defensively….was horrific!” admitted the East Bengal coach in the post-match press conference and also revealed that this might as well have been the worst performance by his team this season. The East Bengal coach was seen instructing his players on the bench to warm up after only 25 minutes on the clock and had exhausted all of his substitutions by the 51st minute of the game. “If we could have had five substitutes we would have put five but unfortunately we only had three,” said the 60-year old to the reporters. The game saw humiliating performances from several key players such as TP Rehenesh, Ivan Bukenya, Anwar Ali and Mehtab Hossain and if Churchill had converted all their chances, the Kolkata giants could have faced one of their worst defeats in the recent history of the club. On the other hand, the visitors Churchill Brothers enjoyed a free-flowing game against the league leaders at Barasat Stadium. Derick Pereira, the newly appointed head coach outclassed the hosts tactical play with brilliant counter strategies which has seen the Goan side defeat two of the three title favorites in less than a week. With the win over East Bengal at Barasat yesterday, Churchill Brothers have already earned the nickname ‘giant-killers’ and will only continue to thrive if they continue in their current form. 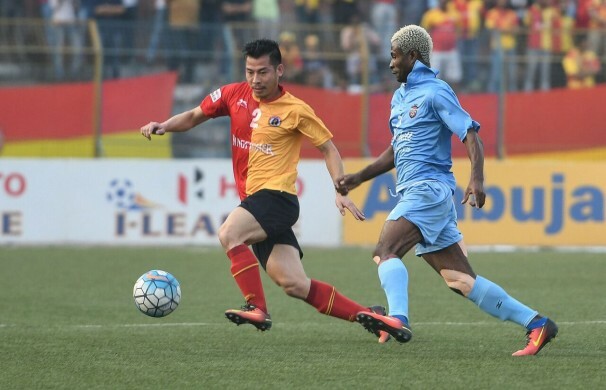 However, East Bengal are now facing the prospect of once again letting a maiden I-League crown slip from their grasp if they fail to bounce back with another sequence of wins.